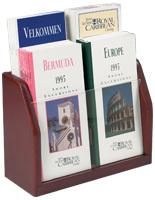 This tabletop information holder stores two sets of pamphlets side by side. 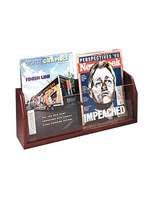 This magazine display has a box design with a medium oak finish and clear acrylic paneling to provide a clear view of contents. 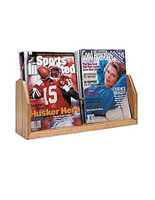 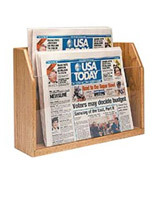 This information holder, such as a periodical stand, features a slim profile that won’t take up too much space on a countertop. 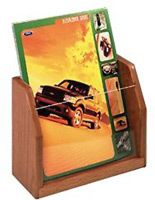 This leaflet organizer is a simple and effective way to sell supplies by a register or provide reading material in a lobby. 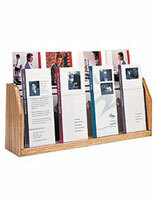 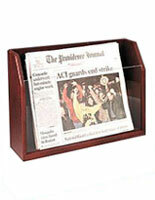 Purchase this holder that is a literature display in bulk for super-cheap pricing! 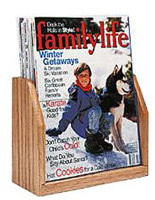 18.3" x 7.5" x 23.8"
8.4" x 7.0" x 2.4"